I hope you enjoy your visit here at Moseley Park! There years ago in August 2015, we bought the Earth Palette dyes business. We use these dyes most of the time for our yarns and fibres, as they are so easy to use, and have beautiful bright colours. I do stock some of these on my Moseley Park website, but if you want to see the whole range please check out my Earth Palette website. At Moseley Park, we have lots of Sock-yarns, but we also stock Lace Yarns, and 8 ply yarns. wide range of Natural coloured fibres. We do stock the Knit Pro knitting needle range as well, as well as Tantech Fibre Scour and wash. 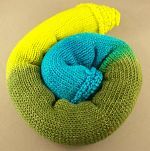 I am always adding new fibre and yarn, so feel free to come back and check out the latest items. my best to help you find it, Jane!